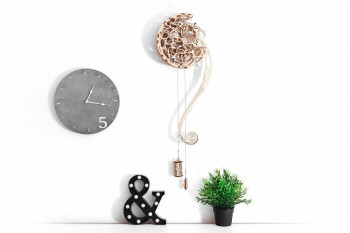 Incredibly beautiful, our carved Pendulum is a finely designed open mechanism. Assemble our Pendulum 3D puzzle – it makes an exquisite item to have in your home, and is useful for meditation. The rhythm of life can be intense with day-to-day stress and accumulated fatigue … Many psychologists suggest meditation as a way to relax, concentrate and just take a break both mentally and physically. Even as you assemble our 3D puzzle Pendulum by Wooden City, you will feel inspired and calm. When you put together and hang the finished model on your wall, start it up by pulling the driving weight down. 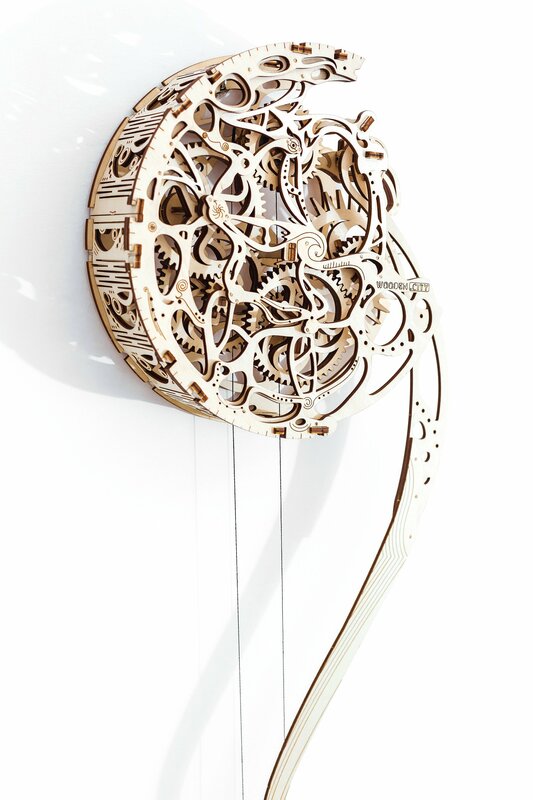 The open mechanism will start moving, the gears will start spinning and all the intricacies will come to life! The pendulum will begin to sway steadily in a steady rhythm. You will relax so that you can concentrate your thoughts on more pleasant events and people. Attach coins to the weight or along the inside of the pendulum. The number of coins affects the period of the pendulum. Because of friction and changes to the center of gravity, the heavier the “sinker”, the longer it takes for the pendulum to swing. 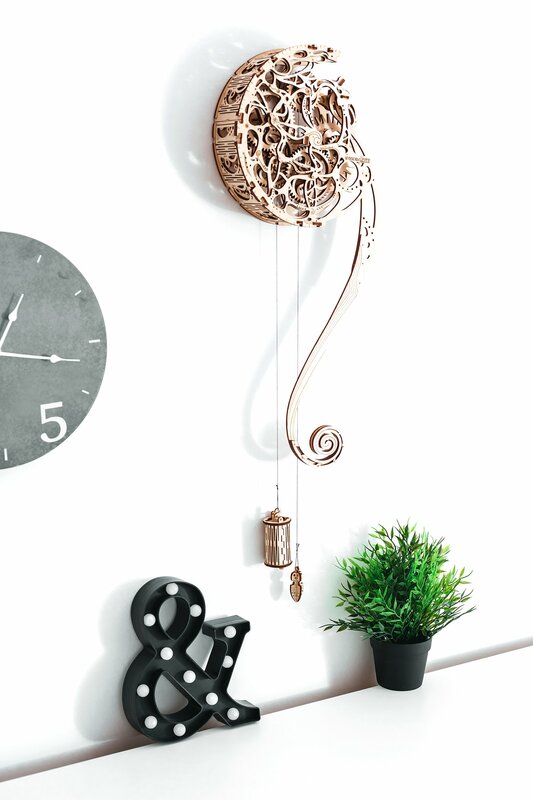 Our Pendulum is a unique gift for someone with a sophisticated nature, in part because it is so beautiful! And it will be interesting and instructive for children, because it teaches them the principles of mechanical movement, the laws of physics, and the importance of aesthetics. Attention! Not recommended for children under 14 y.o. Buy this model and you will find peace of mind, beauty and joy!